The global radiation detection, monitoring and safety market is expected to be worth $1.6 billion by 2024. The market is poised to witness a substantial growth due to the growing adoption of nuclear medicine and radiation therapy, according to data by Million Insights, a distributor of market research reports. Rising demand for nuclear medicine and radiation therapy is attributed to growing incidences of cancer-related diseases. Increasing healthcare expenditure and recent enhancements in the existing medical infrastructure, particularly in the North America region, are expected to fuel market demand for radiation detection, monitoring and safety services in the upcoming years. Globally, the radiation detection, monitoring & safety industry is predicted to grow at compound annual growth rate (CAGR) of 7.3% in the forecast period, providing numerous opportunities for market players to invest for research and development in the market. The rising occurrence of cancer-related diseases and growing awareness among general population are major contributing factors for robust market growth in the last few years. Rising influence of commercialization and digitalization in healthcare sector are driving demand of the radiation detection, monitoring and safety services, in the recent years. Furthermore, recent technological advancement and increasing adoption of digital services in healthcare sector is leading increasing commercialization of next generation diagnostic is expected to fuel market demand for radiation detection, monitoring and safety services over the forecast period. Soaring demand for advanced analytical techniques for treatment of cancer is predicted to favor market growth in the upcoming years. In addition, surging need for fewer intrusive surgeries and introduction of disposable instruments is projected to foster the growth of radiation detection, monitoring & safety market over the forecast period. The recent technological advancement coupled with development of the novel products & techniques such as genetic therapy are expected to provide platform for the sustained market growth of radiation detection, monitoring & safety in the upcoming years. The radiation detection, monitoring and safety industry is broadly categorized into three major segments based on the product type in radiation detection segment such as gas-filled detectors, scintillators and solid-state detectors. The gas-filled detectors is considered as one of the fastest growing segment in the radiation detection, monitoring and safety market with substantial revenue generation in the last few years. The radiation detection, monitoring & safety industry is divided by region as North America, Europe, Asia-Pacific, Latin America and Africa. North America has shown major growth in recent years owing to the rise in the implementation of latest technologies in healthcare sector, increase in the number of research & development activities in the region and existence of well-established medicinal infrastructure. Asia-Pacific region is predicted to hold major market share in the radiation detection, monitoring & safety market with massive growth in forecast period. Countries such as India, Chinaand Singapore are leading the Asia-Pacific market with strong economic growth, rising healthcare infrastructure, increasing per capita income, growing prevalence of cancer related diseases, ever-growing population base, and significant investment by leading industry players considering potential growth opportunities in the region. The key players in the radiation detection, monitoring and safety industry are Landauer Inc., Mirion Technologies, Inc., Ludlum Measurements, Inc., Thermo Fisher Scientific Co., Radiation Detection Company, Inc., Canberra Industries, Inc., Arrow-Tech, Inc., Centronic Ltd., AmRay Medical Co., Atomtexs.P.e, and RAE Systems, Inc. 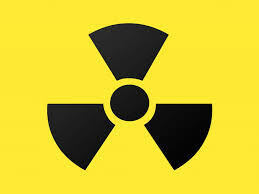 Radiation detection, monitoring and safety market expected to grow quickly. Appl Rad Oncol.